The President indicated that it was about time Ghana works to dispel the often negative depiction of the country and other African countries characterised by famine, diseases and other negativities. “The negative characterisations of Ghana, and indeed most of the countries in Africa, depicted largely by stories of disease, famine, hunger and poverty, can, therefore, not be our portion. God’s blessings on our land means that we can, we should, and we must shed this cloak of poverty, and chart for ourselves a path that will lift up the masses of our people into prosperity and enhance the quality of their lives,” President Akufo-Addo stressed. “We are becoming increasingly self-sufficient in the production of food, and as opposed to the difficulties of recent years, we are now exporting food to our neighbouring countries in West Africa. 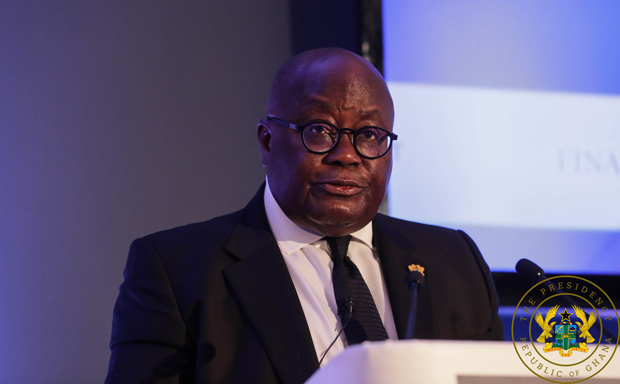 Ghana, today, has become the largest recipient of foreign direct investment in West Africa, with some of the world’s largest automobile manufacturing companies deciding to establish assembly and manufacturing plants in Ghana,” President Akufo-Addo added.